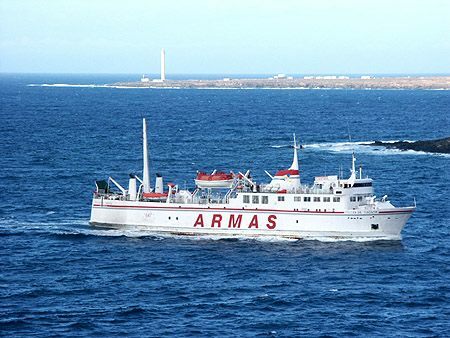 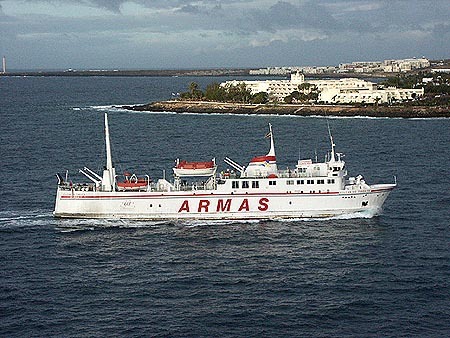 This page is devoted to postcards and photographs of the Navira ARMAS ferry Volcan de Tindaya. 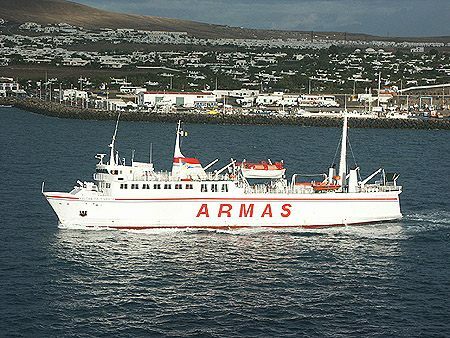 Volcan de Tindaya was built as the Skudenes of Stavanderske in 1970. 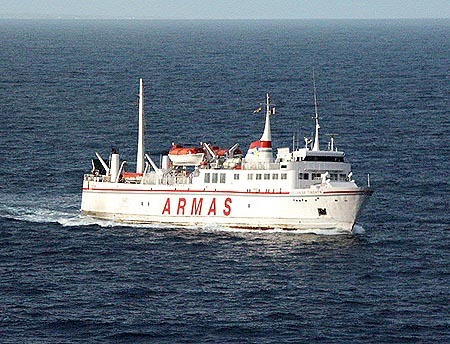 Skudenes ran between Stavanger and Skudeneshavn. 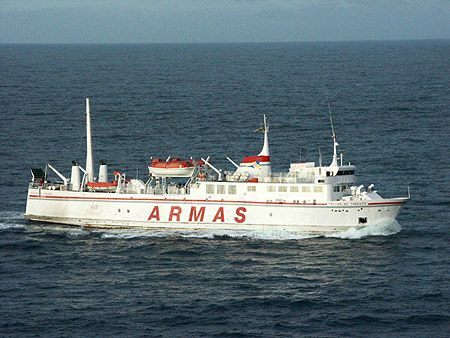 She later sailed as Ryfylke, also on Norwegian coastal servuces. 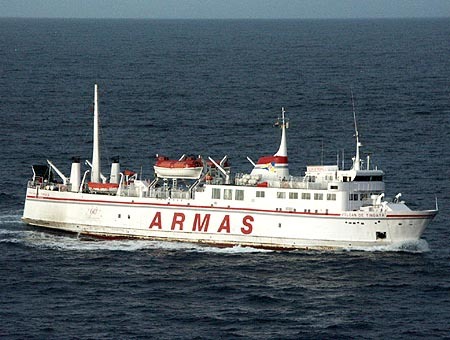 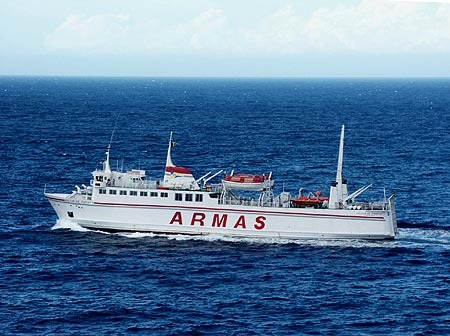 In 1990 she was sold to PITRA as the Pitiusas, followed by sale to Naviera Armas in 1996 as Volcan de Tindaya. 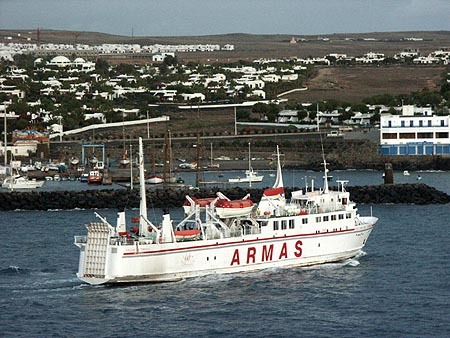 Volcan de Tindaya operates between Corralejo and Playa Blanca in the Canary Islands.